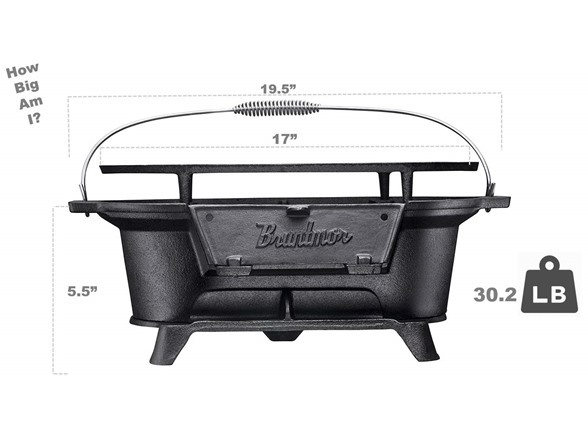 Bruntmor’s grill will become your new favorite picnic and camping cookware. 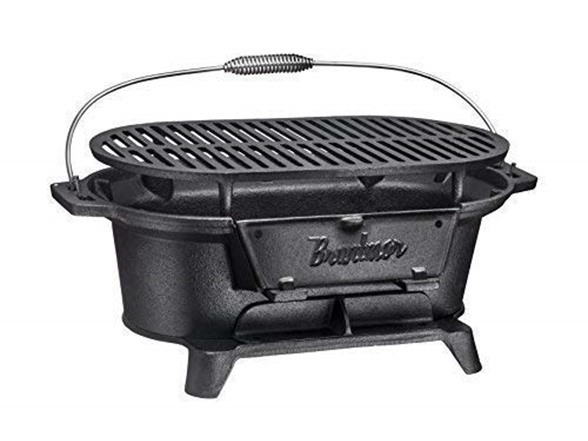 This portable cast iron charcoal BBQ grill is sturdy and great for travel as well as your very own backyard. 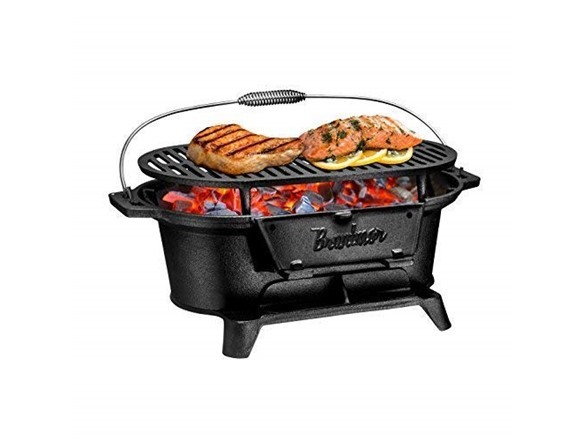 Use it for grilling steak, pork chops, fish, chicken, vegetables, and more. 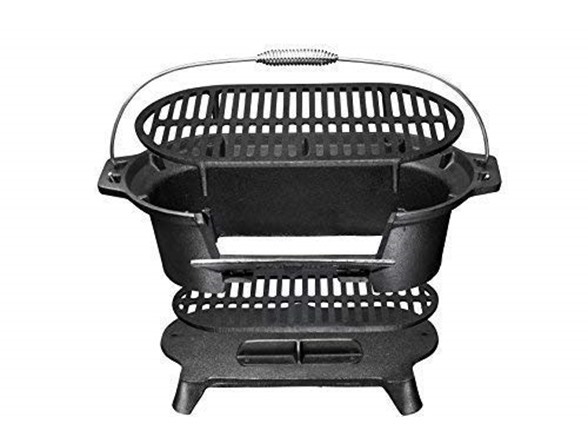 Save space with this quality item that is large enough to cook for the entire family but small enough to take anywhere. 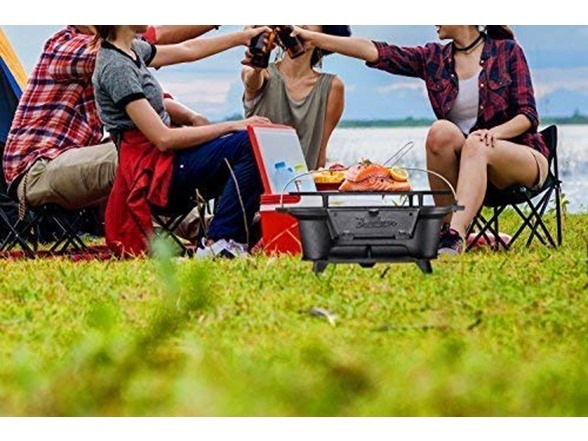 No more need for a huge chunky BBQ grill that takes up way too much room!